I pulled into the Von's market this afternoon before going to the beach. I looked over and saw an old man with two weeks of whiskers on his face about 6 foot two smiling with grocery bags in his hands. It's me, Kimo! I'm, Kimo! He rushed over thrusted a strong handshake and gave me a big Aloha hug. It turned out that his daughter is living at the Coronado Cays. I told him come and see me any time he is town. I also told him I enjoyed his book. I also said I would send him a picture of him with Keck and Severson at Yokahama that was in TSJ. He is such a good story teller and has a great sense of humor. He could have been a well paid stand up comedian with his great pidgin. He had us rolling in the sand with laughter. I reminisced about a glorious late afternoon sunset we body surfed inside at Makaha with the beach all to ourselves. He said, "No more like that." I told him that Keck told me that I missed him at the reunion. Curren came very late and Kimo was going to leave but Joe Curren pleaded for him to wait. Pat showed finally. 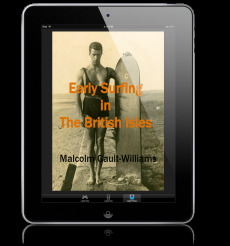 Kimo and Henry Priest were some of the finest locals we surfed with in the islands. 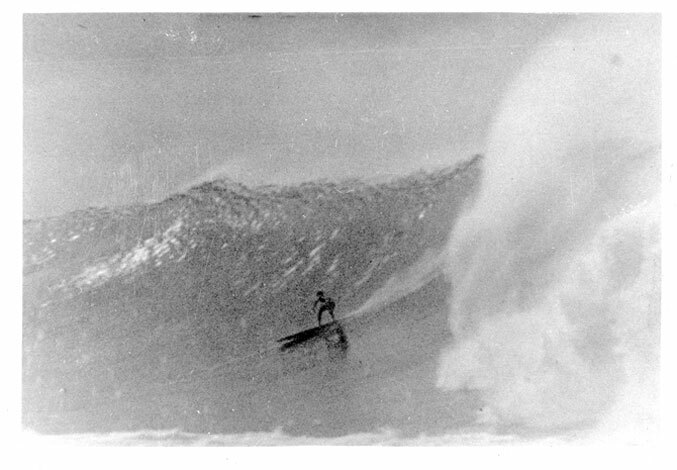 In fact there were few good locals then that could handle the North Shore. Before we parted he said, "I respect you John, because you are older. We respect our elders." He's 65. I respect him as a real Hawaiian friend during those glory days.